Gideon Hillman Consulting explains the importance of effective Warehouse Management and Maintenance; and summarises the key technology that manufacturers must focus on when evaluating operating a facility at optimum efficiency. How does Warehouse Management impact manufacturing? Manufacturers have a goal of ensuring the smooth day-to-day running of their facilities. Subsequently, all manufacturers should recognise that the goal of any good warehouse, can be improved significantly, following the implementation of a warehouse management system (WMS). A good WMS will enable a manufacturing or distribution company’s management team to efficiently control the movement of materials within a warehouse, to facilitate the continued delivery of excellent customer service, whilst simultaneously improving overall efficiency and effectiveness of warehouse processes. How can manufacturers implement the right WMS for their facility? Whether you are sourcing software to automate your warehouse operations for the first time, or to upgrade to a more robust warehousing system; adequate research should be conducted, prior to deciding on the most suitable WMS solution to fit your environment. To be successful, a good piece of software should not only accommodate your company’s present strategy, but also address scalability to accommodate future business growth. Can a good WMS improve and control manufacturing distribution costs? WMS software serves to consolidate warehouse tasks including tracking stock locations and inventory levels. Implementing a cost-efficient WMS, to maintain supply chain, purchasing, and order-processing operations, can result in lower supply-chain and distribution costs, and overall boosted profitability being achieved by manufacturers; further promoting the benefits to manufacturers, of adopting new and innovative technologies within the supply chain. Can adoption of innovative warehouse technology really benefit manufacturers? 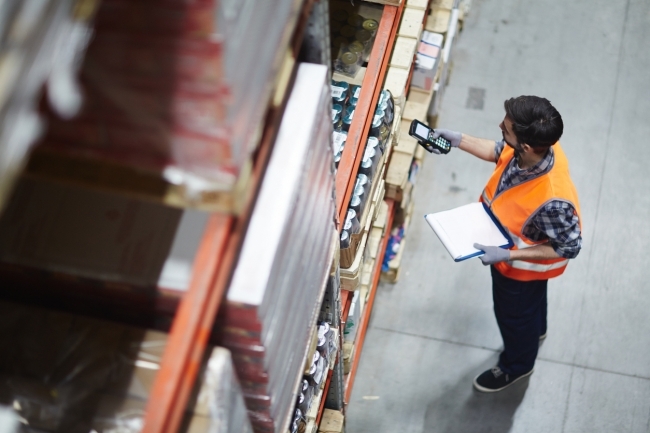 A WMS can help to prevent the occurrence of mistakes in the warehouse by implementing best practices involving processing, planning, and operations. Manufacturers which choose to implement a WMS, can benefit not only in their facility, but by adopting new technological innovations, continuous quality improvement within their wider reach supply-chain dynamics can also be encouraged, in- turn promoting collaboration with customers, suppliers, and distribution and transportation contractors.